“You may not win, but you must try. Sometimes, you’ll lose, but there’s no need to cry. I dare say our deepest heartache once we become parents is not when we get hurt, but when our kids hurt. And it’s one thing when they break a bone or scrape their knee, but it’s another when it’s an emotional hurt. If your kids are little, this might look like a friend saying they don’t want to play with them at the park. If your kids are in elementary school, perhaps you’ve had to watch while chaperoning a field trip as a group of girls your daughter once considered friends not only pull themselves away from your little girl, but whisper while looking in her direction. If you have a middle school son, you may have had to watch him come home and shut himself off in his room after not making the team of the sport he’s loved since his youth. And if you’ve made it to the high school years and beyond, you may have your own story of woe to share when your child didn’t get into the college of their dreams or worse yet, had an epic break up that no amount of hugs or ice cream could cure. 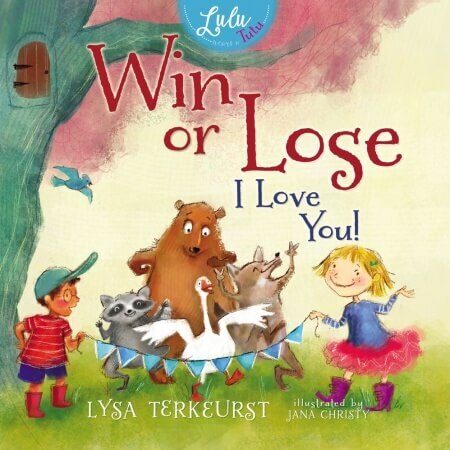 Lysa TerKeurst, best-selling author of 19 books, has written a brilliantly insightful and delightfully illustrated children’s book called, “Win or Lose, I Love You!”, and while my kids are at the age where they’ve outgrown picture books, I plan on sharing this one with them because of the insights it contains. 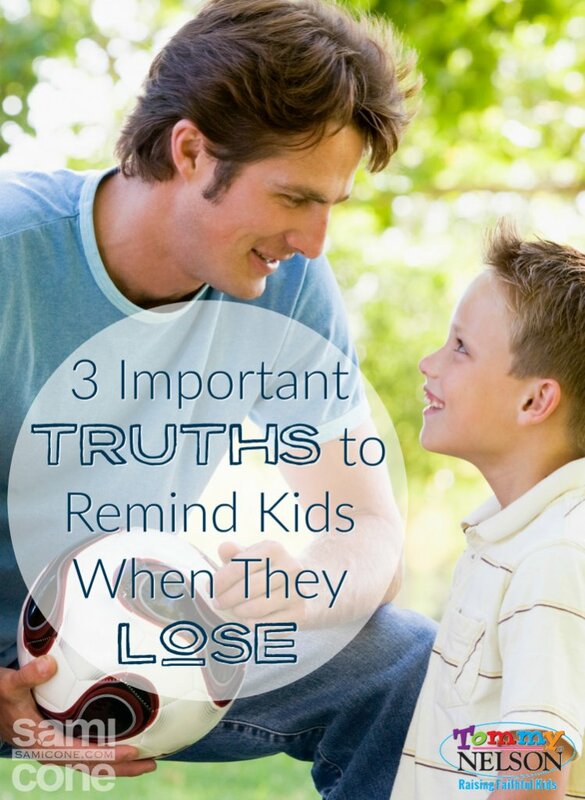 I obviously can’t share all of them with you here, but I can share three important truths to remind your kids when they lose. Finish Well. “You behaved badly, but YOU aren’t bad. What can you do to make things better?” ~ from “Win or Lose, I Love You” Life doesn’t end simply because a contest or race does. When we teach our kids that the result is just one aspect of the event, we begin to show them that they need to focus their energy and attitude on the bigger picture. This also helps them paint a picture for how they want to be remembered AFTER the event and determine what they need to do BEFORE the event to achieve that goal. Keep a Good Attitude. “A leader’s job is to make things better…to work hard and be kind, encouraging, forgiving and friendly to everyone.” ~ from “Win or Lose, I Love You” You’ve heard it said HOW one competes is as important as whether or not they win or lose. 2 Timothy 2:5 reminds us, “anyone who competes as an athlete does not receive the victor’s crown except by competing according to the rules.” Remind your kids that just as winning isn’t as sweet when the rules haven’t been followed, losing is made even more bitter with a bad attitude. This is the perfect time to remind kids they can CHOOSE joy even when they may not FEEL happy. Your Value isn’t Determined by this Event. “It’s okay to lose, you know…sometimes you’ll lose. Other times you’ll win. What matters most is how you treat your friends.” ~ from “Win or Lose, I Love You” In the end, there can only be one winner, which means chances are someone will be upset. But is it worth losing friends over? I’d say no. Our kids need to learn early that WHO they are isn’t determined by WHAT they do. This is the perfect time to paint a picture of God’s love for us through Ephesians 2:8, “For it is by grace you have been saved, through faith—and this is not from yourselves, it is the gift of God”. Thank God we are not saved by WHAT we have done, but simply through his grace! Losing will never be easy, but when you talk to your kids before a competition about the possible outcomes and what their responses could be, it helps to put everything in perspective. And remember, our children will look to us in these moments for how to respond, so make sure that you’re not putting more emphasis on the event than there needs to be. In the end, reminding your kids of these three truths over and over again through their childhood will not only help them in their times of loss, but will ultimately make them better winners as well. 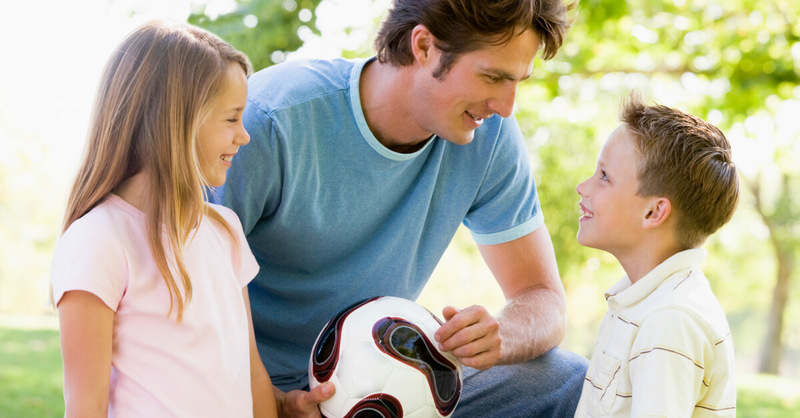 How have you helped your children to be good winners and losers? This entry was posted in Blog, Product, Tommy Nelson and tagged Family, Kids, Losing, Loss, Lysa TerKeurst, Parenting, parents, Sports, Sportsmanship by Sami Cone. Bookmark the permalink.